″Ruins of the Palace of the Bakhar Emir″ was painted during Kokurin′s 1963 trip through Soviet Central Asia. 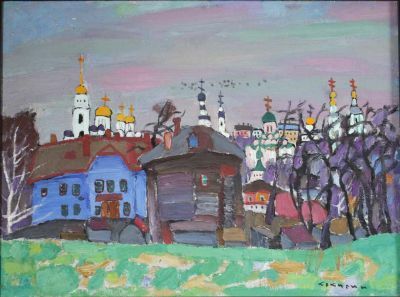 Valeri Grigorevich Kokurin was born in Vladimir, Russia on December 11, 1930. In his early years, he studied under the master artist and restorer, N.P. 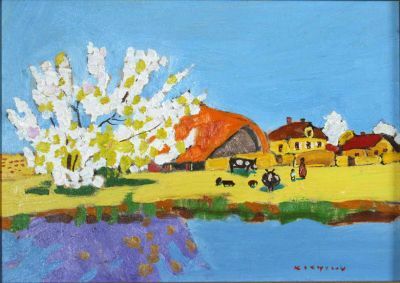 Sychev. 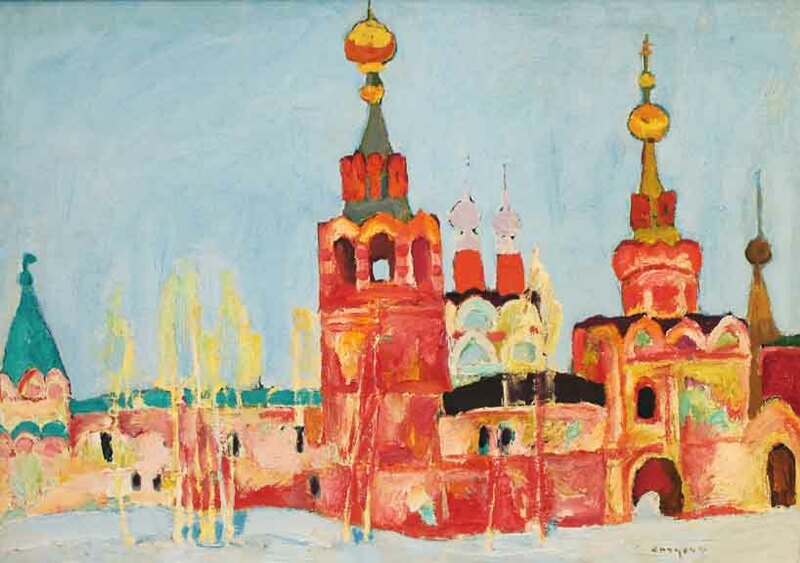 After serving in the Soviet Air Force, he began working in the restoration, scientific and industrial workshops of architect and restorer, AV Stoletov. 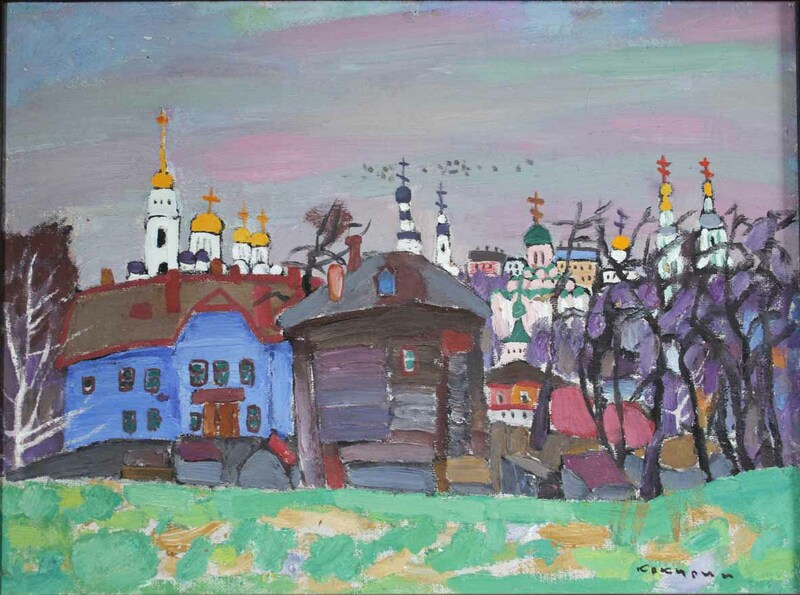 He studied at the Central House of People′s Creativity in Moscow during much of the 1950s. . 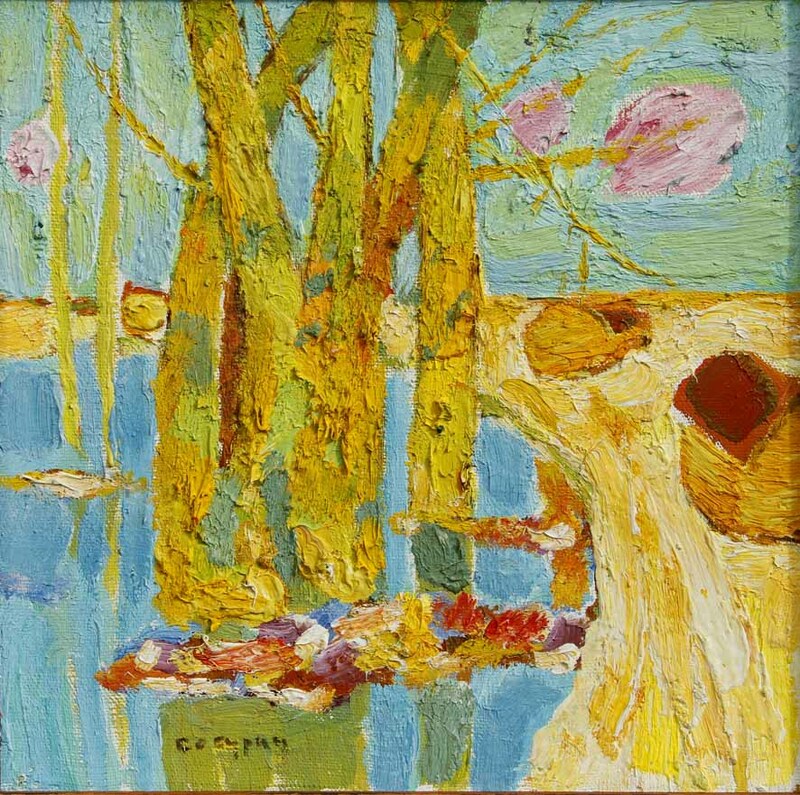 He began exhibiting around 1955 and became more interested in fine art around 1959. He took place in the ″Soviet–Russia″ exhibition in Moscow in 1960. 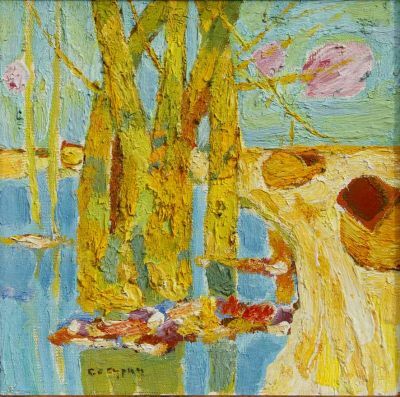 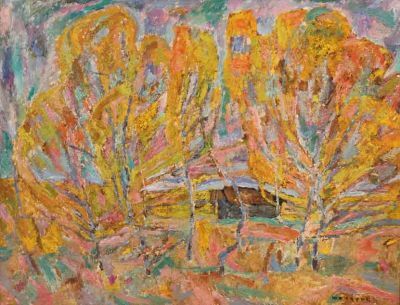 While Kokurin was a member of the Union of Russian Artists, he was officially labeled an "abstractionist" who exhibited "cosmopolitan" and "impressionistic" tendencies. 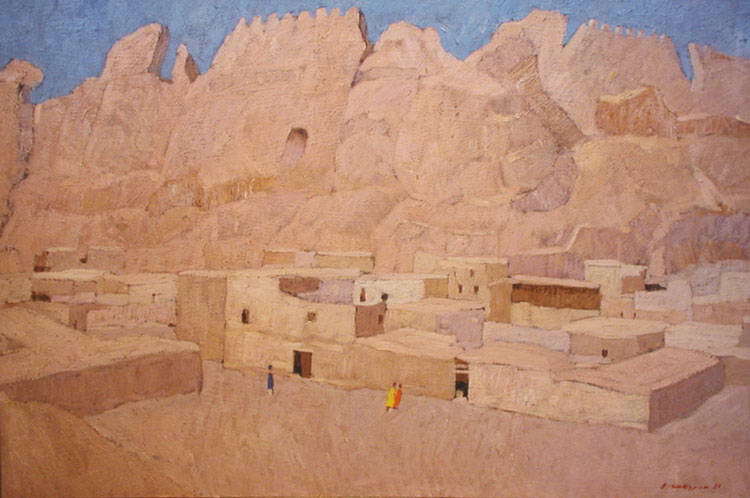 This label often had Union officials withdrawing his paintings from many exhibitions. 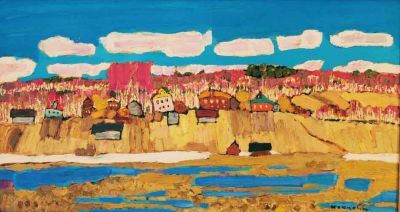 Kokurin is one of the founding members (with Vladimir Yukin and Kim Britov) of the Vladimir School of Landscape Painting named after their home city. 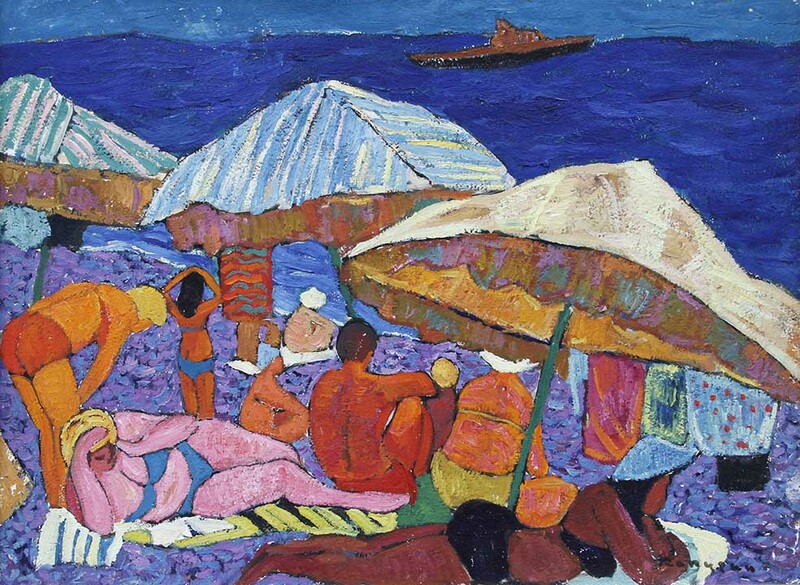 The Vladimir School is arguably one of the most important movements to emerge from Soviet Era art after 1950. 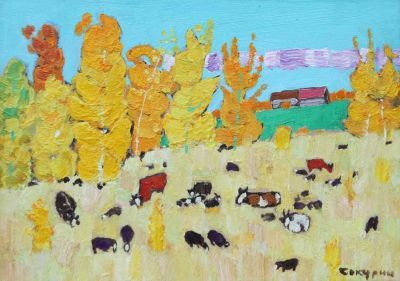 His paintings are in the permanent collection of the Tretyakov Gallery, State Russian Museum, State Vladimir-Suzdal Museum as well as various other regional and global collections. He won the First Prize of the KomSoMol in 1962 and the Regional KomSoMol Prize named after Gerasimos Feigin in 1978. He was awarded the Diploma of the Russian Academy of Arts in 1999, a Gold Medal of the Russian Academy of Arts in 2005, a Union of Russian Artists Prize named after Aleksei Gritsai in 2006 and the Gold Medal Prize named after Surikov in 2010. 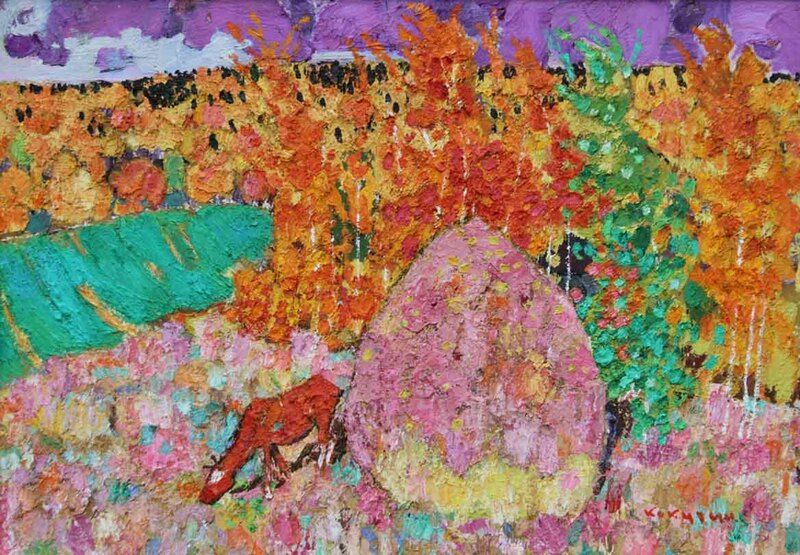 He became and Honored Artist of Russia in 1980 and a People's Artist of Russia in 1998. 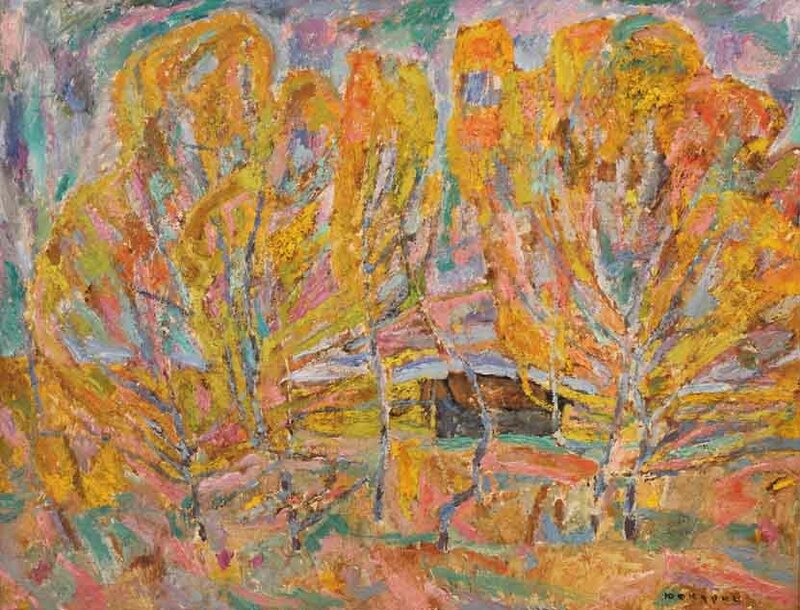 Kokurin is listed in Matthew Bown′s, A Dictionary ot Twentieth Century Russian and Soviet Painters.